New Leaf Center strives to improve the quality of life for people with special needs caused by inherited disorders through cost-effective medical care, education, research, and advocacy. Northeast Ohio’s Amish community descends from a small group of immigrants who fled religious persecution in Europe. Over generations, some inherited conditions have become more common in their community while others have become less common. These genetic diseases are European in origin, occurring in families all over the world. However, many are not well-studied and need better therapy options. The Amish community traditionally and largely does not participate in health insurance programs. As a result, the cost burden of their health care is a very large factor in their treatment decisions, directly affecting accessibility and perceived relevance of typical treatment options. Gaps of information and understanding often create difficulties for families of children with special needs or development delay. When healthcare providers do not recognize a child’s condition, the child may receive many diagnostic tests. The burden of cost can quickly become unbearable. New Leaf’ Center’s primary care physician and staff provide local medical care on a daily basis to children with inherited conditions that are common within the community. Our medical team is becoming acquainted with the particular genetic conditions and culture of the community in order to provide knowledgeable, relevant care. Families are able to establish a trusting relationship with the medical team who can both explain the options for treatment and guide the parents in making informed decisions. By providing for the cost of a physician and a clinic up front, the community not only receives quality, accessible health care, but also is able to greatly reduce the overall burden of cost, both for the families of affected children and the supporting community. Familiarity with the genetic conditions of the community leads to cost-effective testing and diagnosis. Early detection and intervention leads to reduced hospital visits. Collaborative relationships and diligent networking lead to reduction of costs for some medications and treatments. New Leaf Center started from the dreams of a young doctor, and has become a highly used and respected clinic. Read more about New Leaf Center’s beginnings. New Leaf Center is currently funded in three primary ways. The clinic relies heavily on the generous donations from the community to sustain its work. Currently 66% of the operation costs are provided by families, churches, and businesses. It is New Leaf Center’s goal to receive 15 percent of its operating budget from fees for services. After discussion with the Amish Bishop Advisory Committee the costs for services were carefully selected to maintain a reasonable responsibility on the part of self-pay families without creating a financial barrier. Akron Children’s Hospital was instrumental in the clinic’s formative process by providing time for Dr. Wenger to begin work on the clinic’s foundational network. They continue to provide financial support for our physician’s position. New Leaf Center was opened in January 2013 with 30 active patients. As of June 2016, the patient base has grown to over 350. In our first two years of service, 61 patients were of “unknown diagnosis” at their first NLC visit. Seventeen (17) of those were able to receive a molecular diagnosis, a diagnostic rate of 28%. New Leaf Center has been visited by patients from 27 counties in Ohio and a few from out of state, but the bulk of our patients are from Wayne, Holmes and surrounding counties. Many of our patients with neurodevelopmental disease (cerebral palsy, epilepsy, delay) do not have an overarching diagnosis. However, our list of known causes of neurodevelopmental disease grows with collaboration and effective use of diagnostic resources. 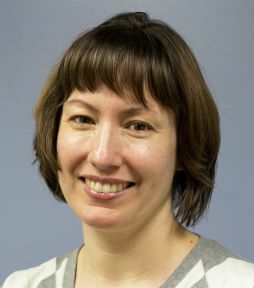 Olivia Wenger is a board certified pediatric physician. She grew up in Lewisburg, PA and received a bachelor science degree at Elizabethtown College. Her medical doctorate is from Albert Einstein College of Medicine. She completed a Pediatric Residency/Chief Year at Akron Children’s Hospital in 2008. She worked with Drs. Holmes Morton and Kevin Strauss at the Clinic for Special Children (Strasburg, PA) from 2009-2010. She has been a member of the medical staff at Akron Children’s Hospital since 2010. 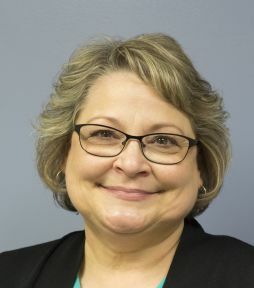 Barbara A. Reinford grew up in the Kidron, OH area. She received a bachelor degree in nursing from Eastern Mennonite University. Prior to joining the New Leaf team, she worked the past 14 years as Market Operations Manager at Everence. Before that she worked in community health in North Carolina and Alabama. Arie Troyer worked at Milltown Family Practice for 16 years. 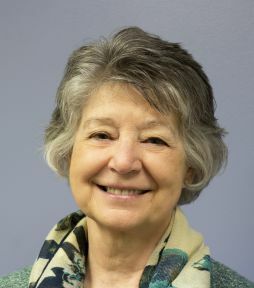 Previously, she worked at The Mennonite Home in Pennsylvania, Rosedale Bible Institute and served with Mercy Ships in western Africa. 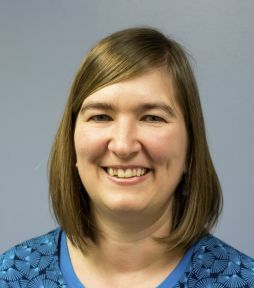 Angela Zuercher received a bachelor degree in nursing from Eastern Mennonite University. She worked at Aultman Hosptial for 13 years on the obstretics unit, giving post partum and newborn nursery care prior to coming to New Leaf. 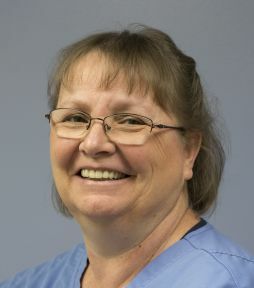 Janice Rufener has worked in various positions as a nurse and raised a family of seven children. She had a special needs grandchild whom she loved dearly and helped to care for. 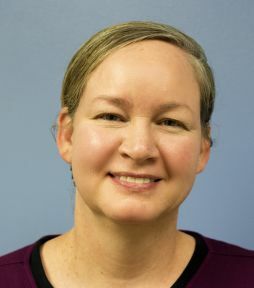 Becky Miller started her position as Research Coordinator in November 2017. She has been a nurse for over 10 years and most recently worked in a local doctor’s office. Carol Fry earned her RN degree from Cuyahoga Community College. Her most recent nursing position was with LifeCare Hospice. 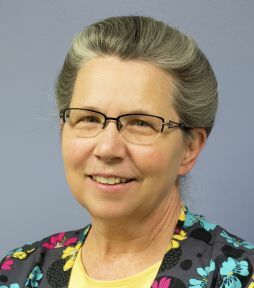 She joined New Leaf Center as Nurse Manager in the fall of 2018. New Leaf Center is also under the direction of a Bishop Advisory Committee and a Medical Advisory Committee. The plain people (Amish and Mennonites) call children with special medical or learning needs “special children.” Special children are seen as gifts from God by their communities. The word “medical home” represents the ideal for how medical care should be provided to all children. A “medical home” is not an orphanage or residence. It is a place close to home where a child with special medical needs can find people who treat them well. Does New Leaf Center accept medical insurance? If a child can benefit from the services of New Leaf, we want to see them! We will never deny a child an appointment or regular care because of the lack of ability to self-pay for services or whether they are insured or not. New Leaf was designed to meet the medical needs of self-pay families. Therefore, the only payment plan/insurance we currently bill is the Ohio Crippled Children’s Fund (OCCF) and Bureau for Children with Medical Handicaps (BCMH) Diagnostic. Families who do have medical insurance are encouraged to schedule with us and explore the options available for their children. Does New Leaf Center use natural medicine? We understand that many of our parents prefer to use natural medicine before traditional. However, we do not dispense or prescribe natural medicines at New Leaf. Does the staff speak Dutch? Some of our staff speak Dutch. Some wish they could. What does it cost to come to New Leaf Clinic? A typical first time visit costs $100 and is often 2 hours long. Follow up visits are $65. Additional labs and medications are extra. Is it possible to know the risk of having children with inherited disorders? Yes. With many inherited conditions, it is possible to know the risk of recurrence. We aim to eliminate the useless suffering of children…Suffering children cannot choose whether or not their pain and loneliness will be useful. That choice rests in the hands of the adults around them.